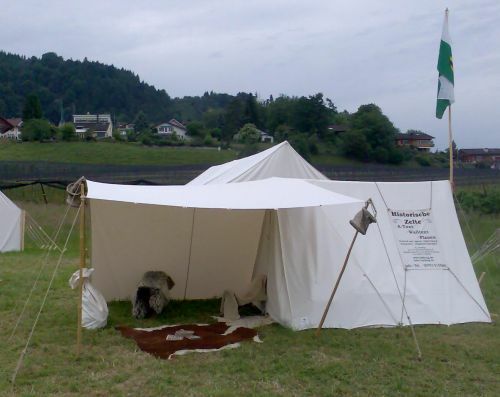 The A-tent is a historical military tent of the basic men in the 18th and 19th century. It was used on both continents, America and Europe. Each army used another size. 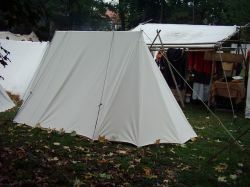 The form of an A- or Wedge-Tent provides a basis for different tent types (e.g. Anglo-Saxon and Viking tent). An extra storage for your baggage provides the version with apsis respectively bell. The tent is set up with 3 poles quickly and easily.